For many businesses the world of Google ads is seen as something that is perhaps not the best idea. Why would you want an ad for a competitor on your website? Well there is many reasons to have ads placed on your website but make sure you do your homework. The reason so many bloggers and article based websites use Google ads is because they provide an income in perpetuity and involve absolutely no effort. 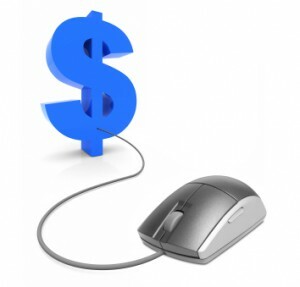 For blogs advertising is the only way to drive income so Google ads offers an easy to use income generator. Passive income streams are the golden goose for many home based writers allowing them time to pursue other interests with a background income. The ads are driven by the content on the page picking up keywords to provide the reader with a valid impression that may be tempting to click on. Of course if you have a page with your products listed featuring these ads it will likely feature competitors ads on your page. This may be off putting as customers may think you are also selling those products, but it can also be useful. Imagine the scenario where you have a really good quality item at a very competitive price, the ad would show a less favorable option and could drive up your sales, after all comparison prices are one of the biggest improvements that is driving customers online. If you have done your homework and know you are selling great items then you should not fear ads. If however you are a small operation or a very niche product you may find ads are either detrimental to your business or simply not appropriate. The key to any ads is to check what they are showing on each page, ensure you can see that the ad is appropriate and if your not happy you may need to spend some time in your ad account setting this up. If you find you are getting more clicks but your sales have increased then you may want to keep them on your site, if however your sales fall and your clicks increase you have a competition problem and need to check it out. Maybe your price is too high, images not clear enough or your quality is not as high as others.